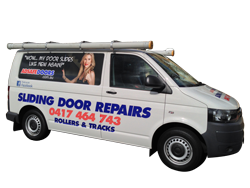 Ryloc sliding door repairs are one of the more common doors we fix in the local Sydney area. The challenge with many Ryloc doors is how old they are. As with any moving parts, Ryloc sliding doors become old and need to be updated to slide like new again. We recently fixed a Ryloc sliding door in Sydney. Click play on the video below to see the before and after. We’ve been doing Ryloc sliding door repairs in Sydney for over 25 years. Be sure to give us a call so we can identify your issue and find the best solution for you. Who are Ryloc Windows and Doors? Ryloc Windows and Doors have a rich history dating back some 35 years. They specialise in being Australian made and use quality custom manufacturing at every stage of their sliding door building process. What we have come to love about Ryloc doors is their emphasis on quality parts in every aspect of their door build. They even take into account the harsh Australian conditions and build doors that are meant to last. But as you can appreciate, over time, all sliding doors and anything with mechanical parts will have normal wear and tear. If your Ryloc sliding door is currently dragging or grinding or not opening smoothly like it once did, then you’ll find that the rollers are the ones which have gone first. Now, unfortunately, a lot of people tend to buy cheap rollers from Bunnings and other hardware stores. Now, when Ryloc initially installed your sliding door it would’ve had brand new tracks and it would’ve rolled very smoothly. Our priority is to leave you with a smooth sliding door, so we’ll replace your track as well. We have got our Ryloc sliding door repairs down to a fine art, as we’ve been honing it for more than 25 years. Once we have identified your Ryloc sliding door and we can see exactly what needs to be done, your door will be fixed within a couple of hours and it will be back up and rolling like new again. The final piece of the sliding door repair puzzle is to ensure your locks lineup perfectly. We have found many Ryloc doors drop over time as the rollers and tracks disintegrate. It is the weight of the door which does this. We will make sure your locks line up perfectly. So give our team a call today. We’ll be able to give you a free quote over the phone and tell you exactly the time and timeframe we can get in and fix your Ryloc sliding door.